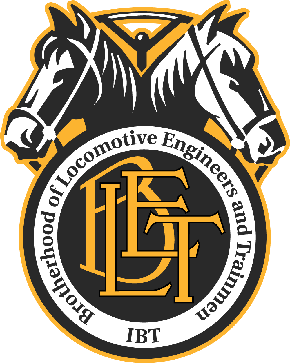 INDEPENDENCE, Ohio, March 22 – Colorado Governor Jared S. Polis signed a two-person crew bill into law on March 21, signifying a significant boost to railroad safety in the state. “Senator Jessie Danielson, endorsed by the Colorado State Legislative Board in 2016 for her House reelection campaign and again in 2018 in her state Senate election, and a proven and tenacious labor advocate while she was in the Colorado House, was the prime sponsor of the Bill in the Senate,” Brother Pearson said. He testified in support of the Bill before the Senate’s Transportation and Energy Committee also. Brother Pearson said that after a couple of tense votes on the Senate floor, and after a final vote back in the House, the bill was approved and sent to the desk of Governor Polis for a signature on March 11, 2019. Brother Pearson thanked President Pierce and the BLET National Division for its support, along with Vice President and National Legislative Representative John Tolman for valuable guidance from the BLET’s National Legislative Office in Washington, D.C.
President Pierce said that thanks to the hard work of the BLET’s State Legislative Board Chairmen, more than a dozen states have introduced minimum crew size legislation this year, including Texas, Nebraska, New Mexico, Georgia, Ohio, Illinois, Minnesota, Michigan, and Kentucky.